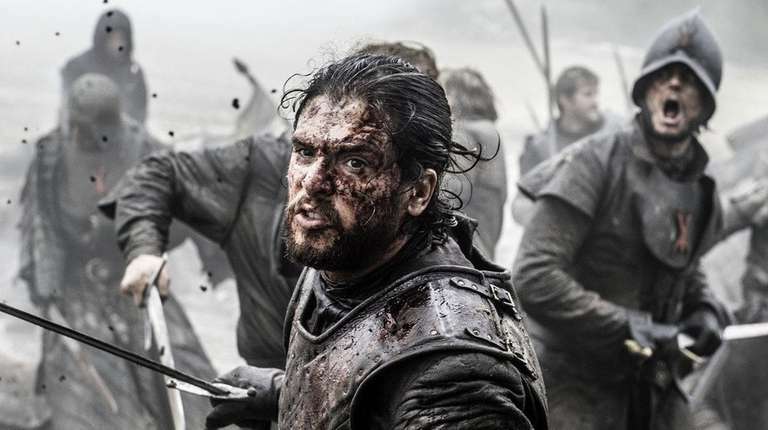 For most TV fans, the sixth season of “Game of Thrones,” which ends Sunday (9 p.m., HBO), was just about perfect. Those battles (that battle) . . . Daenerys (Emilia Clarke) triumphant, her dragons, too . . . Vengeance delivered, over and over, episode after episode. Even Jon Snow (Kit Harington) was delivered. If TV is about giving us what we want, Season 6 was one of those gifts you’ve heard about that couldn’t stop giving. As pure spectacle, it never flagged, never disappointed. Season 6 was a beauty all right. Why then a small unsettled feeling that something was not quite right? Please: A small feeling. I liked Season 6. You liked Season 6. We all liked Season 6, while the midpoint episode, “The Door” — Hodor’s genesis story — ranked with the series’ best. Last Sunday’s climactic battle between Snow and Bolton was the greatest in TV history, ranking with the best in cinematic, too. It was also a hard, cruel, bone-crunching reminder that those who “win” in Westeros are just as likely to end up on top of a pile of bloody corpses as those who “lose.” Luck here is on equal footing with strength, skill and brains. So what went missing? Maybe this: That without actual pandering, Season 6 was much more about satisfying audience expectations than confounding or subverting them. This was a crowd-pleaser that wanted to please, and did. This was also a season that set out to prove something: That even without the hand of God — or the hand of George R.R. Martin — waving benediction over the proceedings, “GoT” could still mount a muscular, visceral, enjoyable spectacle. It could indeed, but what was missing was that aforementioned hand, or the hand of “Grrm,” as fans fondly call the divine presence who directs all the fates of Westeros. As you know, Season 6 was the first without a book by Martin as guide. Instead, the Double D’s — fanspeak for showrunners David Benioff and Dan Weiss — were left on their own without an official blueprint or (to believe the reports) even all that much guidance from Martin, who is struggling furiously to wrap his next book in the “Song of Ice and Fire” series. How much of “Grrm” and how much of the Double D’s went into Season 6 will be one of those topics the obsessed will debate for years — doubtless even a Ph.D. or two will one day be produced on the topic. But Martin was still missing in ways large and small. “Please don’t eat the help,” quipped Tyrion (Peter Dinklage) to dragons Viserion and Rhaegal. Or “The things we do for love,” said Jaime Lannister (Nikolaj Coster-Waldau) to Edmure Tully (Tobias Menzies). This echoed one of the first lines Jaime ever said in the series (“The things I do for love”). It also conspicuously — perhaps also with ironic self-awareness — echoed a hokey pop tune from the ’70s. Season 6 was more about straight-ahead storytelling, less about head games. For example, when Arya (Maisie Williams) was stabbed by the Waif (Faye Marsay) in the episode “No One,” knowledgeable fans assured other knowledgeable fans that this had all been a “fake” Arya, and that in fact the whole scene had been a clever face-switching ruse. Nope. Sorry, that was the real Arya. Season 6 was especially about the triumph of good over evil. Jon Snow didn’t come back from the dead simply because fans demanded that he come back from the dead. He came back because his work was not yet done. Bolton and the Night’s King were still out there. “The good lords are dead, the rest are monsters,” Brienne of Tarth (Gwendoline Christie) mournfully observed a season or two ago. Surely good, decent Jon should not be among those noble dead, too?